Home FEATURED Looking for the Best Single Door Refrigerator? Look no further! In today’s crowded market, choosing the perfect single door refrigerator is tricky. While one brand may offer good cooling, the price it asks for could be intimidating. Sometimes, the price may fit your budget but you are required to compromise on cooling during power cuts. The question that begs to be answered is how does one choose the perfect single door refrigerator that ticks all your boxes? Enter the Whirlpool Vitamagic. Loaded with great features like auto defrost technology*, up to 12 hours* of milk preservation during power cuts and premium design, Whirlpool Vitamagic capably combines utility with technology and design. Let’s take a glance at the key features which make the Vitamagic the perfect contender. Thanks to Whirlpool, now auto defrost is no more a luxury that only double-door refrigerators offer. The all-new Vitamagic is one of the first single door refrigerators to offer this feature and ensure that the ice layer is never too thick in the icebox, unlike ordinary refrigerators where the freezer gets extremely cold forming icicles. That’s right, no manual labor needed for defrosting every now and then. The Insulated Capillary Technology, ensures that the cooling stays locked inside the refrigerator even during the power cuts. It delivers better compressor efficiency, faster cooling and up to 12 hours of Milk Preservation* which is usually a huge concern for people living in areas experiencing frequent power cuts. Another winning feature of Vitamagic is the all-new Magic Chiller with easy slide action that chills your bottles instantly. Powered by the 6th Sense Vitamagic Technology and Whirlpool patented Zeolite Technology that prevents over-ripening, Whirlpool claims up to 40% longer vitamin preservation*. The Zeolite Technology basically absorbs the Ethylene gas released by vegetables and fruits, preventing excessive ripening and keeping them garden fresh for up to 12 days*. 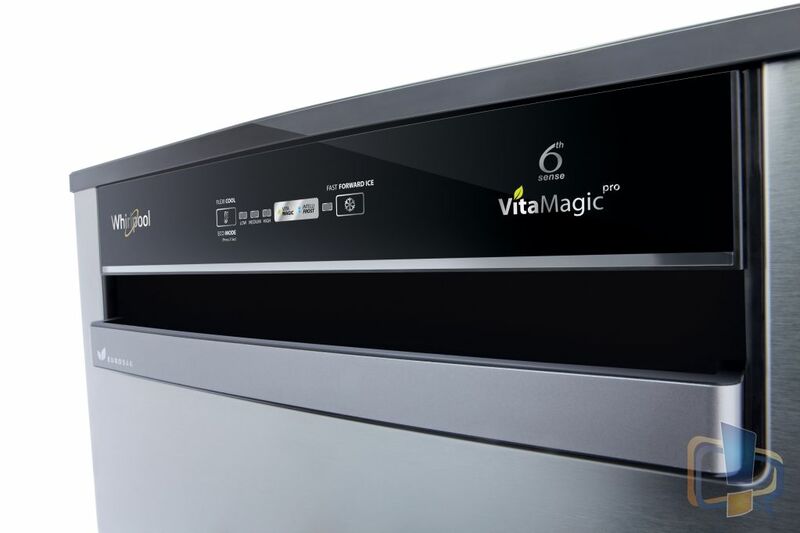 Plus, the Vitamagic Pro models come with a UI LED on the door which indicates freshness inside. So, no more frequent trips to the grocery stores which is a boon for our busy lifestyles. Taking into account the modern-day need of home décor, refrigerator aesthetics also play a major role. If you are somebody who values workmanship or style as much as technology in an appliance, then Vitamagic is just perfect for you. With its exquisite European design and intelligent control panel on the door, Whirlpool Vitamagic is surely going to usher in a new era in the Single Door category. 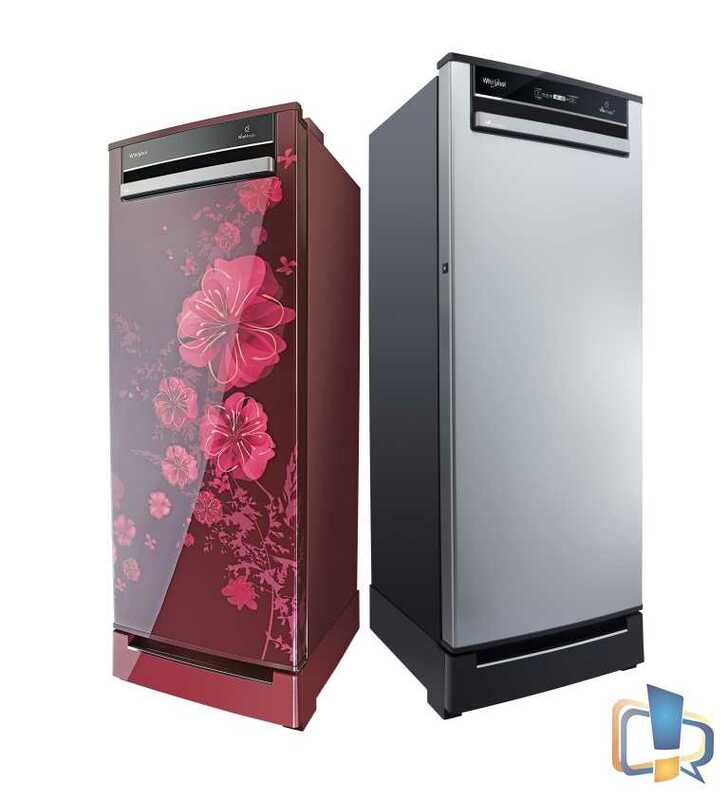 Apart from a horizontal handle, the refrigerator is available in different color variants, with some designs donning a floral pattern to match your kitchen or living room décor. Equipped with Intellisense Inverter Compressors that deliver more stable temperatures, consume less electricity and generate lesser noise, Vitamagic is worth every penny. However, Intellisense Inverter Compressor is only available in 5-star models, and not in 3 and 4-star variants. The compressor carries a 10-year warranty which totally sounds like a deal you should place your bets on. Whirlpool Vitamagic is available in multiple forms suited to every budget. It comes in 3 and 4-star variants in sizes of 200L and 215L, with the price range between Rs. 19,400 to Rs. 25,450. Finding a properly priced single door refrigerator which cools and defrosts intuitively with the help of a temperature sensor is quite tricky but the Vitamagic does all this intelligently. Buying a refrigerator is not the easiest thing especially with so many confusing options. Whirlpool makes it supremely easy to get something that fits your pocket and ticks all criteria on the checklist. 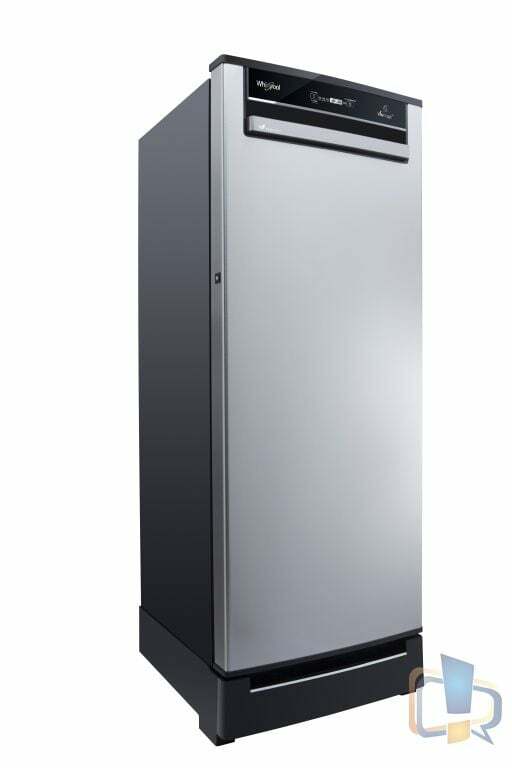 It is a refrigerator with great cooling retention up to 12 hours, so power cuts don’t affect you at all. What’s more, it comes with great functional design, sleek designer looks, smart display to keep a check on everything and access to easy controls. And the 6th Sense Vitamagic Technology and patented Zeolite Technology ensure your food stays fresh for longer period. So, there you have it – the perfect refrigerator at the perfect price point. 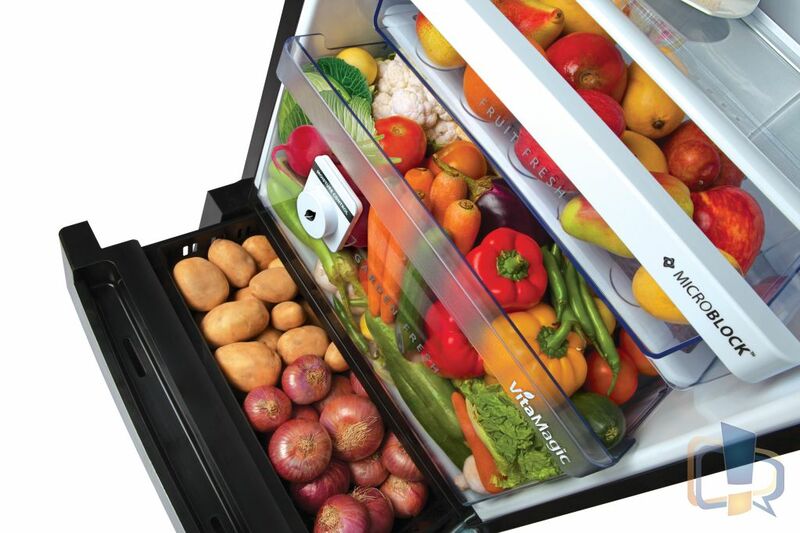 *Auto Defrost and 12 Days Garden fresh features are only available in Vitamagic pro models.